How ironic that, around the same time President Barrack Obama authorises American airstrikes against the Islamic State in Iraq to prevent ‘genocide’ of Christians and Yazidis, senior and influential figures in Israel are reported to be advocating ethnic cleansing of the Palestinians, if not outright genocide…? Ostensibly this looks as though the US will take decisive action to protect minorities in northern Iraq but will ignore butchery of the Palestinians. On 4 August Moshe Feiglin, Deputy Speaker of the Knesset and a member of Prime Minister Benjamin Netanyahu’s ruling Likud Party, was reported by some media – eg: the Daily Mail’s Jill Reilly – to have posted on Facebook a detailed plan for the “conquest of the entire Gaza Strip, and annihilation of all fighting forces and their supporters”. The survivors from “maximum fire power” would be put in what are effectively concentration camps, prior to being shipped out of the remains of Gaza to “relevant emigration destinations”. In other words, ethnic cleansing. Such comments – and they are just some of the more high profile ones – combined with the relentless images of dead and mutilated Gazans crowding internet forums and the TV news bulletins are going to make it harder and harder for Israel’s ‘only real friend’, the United States, to carry on turning a blind eye to what Israel does to the Palestinians. When even Hassidic Jews are seen protesting on New York streets against Israel’s bombardment of Gaza, it’s an indication that the tide may turn and it may become less expedient for American presidents to support Israel, regardless. 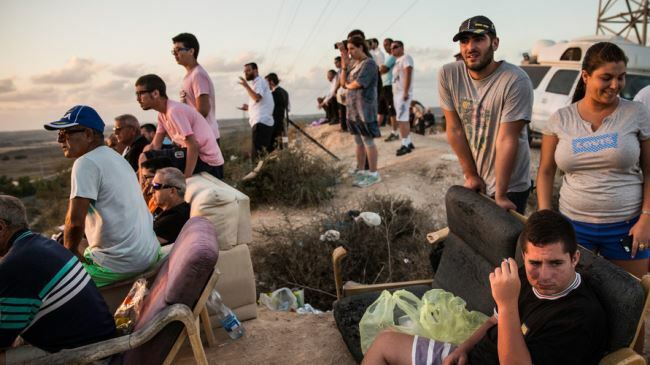 It still looks like that – especially when Israelis are shown sitting on picnic chairs on the hillside observing the destruction of Gaza as though it’s a sporting event. The problem, as I wrote over 5 years ago, is how it is perceived around the world. As reported by The Guardian’s Jon Henley, anti-Semitism and attacks on Jews and Jewish institutions are estimated to be at their highest in Europe since the end of World War II. There is usually an increase in anti-Semitic incidents each time the Israeli-Palestinian conflict flares up, Henley writes, but the current Israeli onslaught in Gaza seems to have brought incidents to a new high right across Europe. Far from enhancing the security of Jews around the world, the Israeli stupidity in Gaza is making things worse for Jewry. The idea voiced by Israeli government spokesman Mark Regev that blasting Hamas will strengthen Mahmoud Abbas and Fatah is ludicrous. Regev is either being disingenuous or he hasn’t the slightest idea how the PURPLE vMEME works. The Gaza survivors will not blame Hamas for the slaughter. They will blame the Israelis and those like Abbas who seek some kind of accommodation with them. Hamas will carefully curate all the audio and video of the carnage and use it to inculcate young Gazans, their children and their children’s children, etc, etc, as to how evil and merciless the Jews are and how they are not fit to live, thus legitimising Hamas’ stated intention of destroying the State of Israel. As for Abbas, he will be vilified as a collaborator on the same level as the Vichy French who worked with the Nazis. Since the start of the so-called ‘Arab Spring’, the Palestinian cause has been rather sidelined by the tumultuous events elsewhere in the Arab world. Along the way, Hamas have managed to offend Iran, Hezbollah and Bashar al-Assad’s government by backing the Syrian rebels while their affiliation with the Muslim Brotherhood has earned the displeasure of Egypt’s (renewed) military rulers. And, of course, the ongoing East/West crisis in Ukraine seems to have taken the world’s attention from everything else, if only for a few weeks. So it’s a major victory for Hamas to have Gaza back on the front pages and Muslims around the world outraged by Israeli slaughter of Palestinian civilians and crying out for vengeance. It’s important for Hamas to milk every last drop of Palestinian blood for their cause. Every time it seems like a ceasefire might hold or there might be the possibility of more substantive talks emerging, Hamas shoot off a few of their rockets. Just like they did yesterday morning. The rockets, as usual are destroyed by the Israeli Iron Dome defence system or turn out to be duds, anyway. As usual the Israelis stupidly bombard Gaza and dozens of Gazans die or are maimed as their streets are turned into rubble. Just when they risked being dropped from the front pages, the Palestinians’ plight and the Hamas cause are back in the headlines. 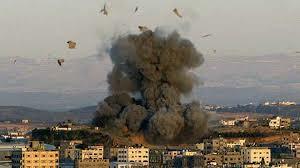 The Israelis can continue pounding Gaza all they want. Every dead Palestinian child is another victory for Hamas. Every threat of ethnic cleansing or even genocide makes the Hamas victory even sweeter. And just let the concentration camps actually get set up…! …then the Israelis might realise just how badly they have lost the war with Hamas. Hamas are driven by a vMEME harmonic of RED and BLUE that makes them callous zealots. Nothing matters to them but THE CAUSE. There is, of course, a nasty racist sub-text to the Hamas cause, fed by the PURPLE vMEME which accentuates the differences between the Israelis and the Palestinians and uses a harmonic with Islamic BLUE to denigrate the Jews as those who have gone astray from God – eg: Surah 4:46. 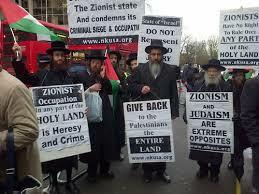 They want the State of Israeli destroyed and every Jew is a legitimate target. Jews outside Israel are often seen as legitimate targets too – part of the problem of having a race, a religion and a national state so closely tied together. Dead Palestinians in Gaza can happily be compensated for by Jewish tourists killed in Paris or synagogues burned down or bombed in London and Berlin. Even greater compensation is gained by nations around the world turning against Israel. The London Evening Standard’s Joseph Watts reporting Deputy Prime Minister Nick Clegg’s announcement that the Coalition Government will be placing certain restrictions on arms sales to Israel will be celebrated loudly by Hamas. How much longer the US can really continue maintain its ‘blind eye stance’ is going to be increasingly a moot point, especially if more talk of ethnic cleansing emerges. If the current Gaza conflict has been a PR disaster for Israel in the eyes of the world, as The Independent on Sunday’s Patrick Cockburn (2014b) asked last weekend: what has it done for Israelis? This is a stunning example of memes spreading as a psychological/cultural virus. In one sense, it’s astonishing that an advanced neo-Western state like Israel, dominated by ORANGE in its technology and commerce, is so dominated by childlike gothic nightmares, the stuff of PURPLE’s fantastic fears. Yet, as Cockburn expounds, Israelis en masse “are indoctrinated from the age of three in the spirit of Jewish victimhood and superiority”. Levy implies the Israeli state socialises its citizens into being victims and needing to demonstrate their superiority to the hated Palestinians – an example of classic ruling class socialisation of the rest as defined by Karl Marx & Friedrich Engels (1848). In Yosef’s statement, we see a PURPLE discrimination of ‘others’ (non-Jews) as being not-of-our-tribe and fit only to be used by Jews. In Josef’s statement, we can see the philosophical and religious roots of Ayelet Shaked’s seeming call to genocide. Since at least the time of the ‘Great Revolt (66–73 CE) and the resultant diaspora, Jews have often tended to have a ‘victim identity’ – all too often suffering racial discrimination, sometimes in the form of violent pogroms and, of course, reaching a horrific peak with the Holocaust. From their past persecutions, many Jews, both inside and outside of Israel, share a sense of belonging in their ‘victim identity’. Their PURPLE binds them in the collective identity of ‘We Jews who suffer’. And some will hold that they suffer because they are God’s chosen – the superior ones the rest of the world is jealous of and some wish to destroy because of that jealousy. So that legitimises Israel destroying those who would destroy it as a result of that jealousy. In so many ways, this narrative fits Henri Tajfel & John Turner’s (1979) Social Identity Theory. First PURPLE categories the Jews as ‘us’ (in-group), with everybody else as ‘them’ (out-group). Then it believes all the ‘good’ things about ‘us’ and all the ‘bad’ things about ‘them’ – social identification – including the stories of hostility towards God’s chosen – ‘victim identity’. Finally, RED and RED/BLUE lead ‘us’ to act out against ‘them’ to demonstrate our (racial) superiority – social comparison. Together ‘victim identity’ and sense of God-given racial superiority make Israel a callous enemy and an intractable negotiating partner…and the perfect ‘stupid’ to play into Hamas’ manipulative strategies. Thankfully, far from all Israelis have remained passively socialised into the Jewish ‘victim-but-superior’ ethos. Gideon Levy clearly is one. 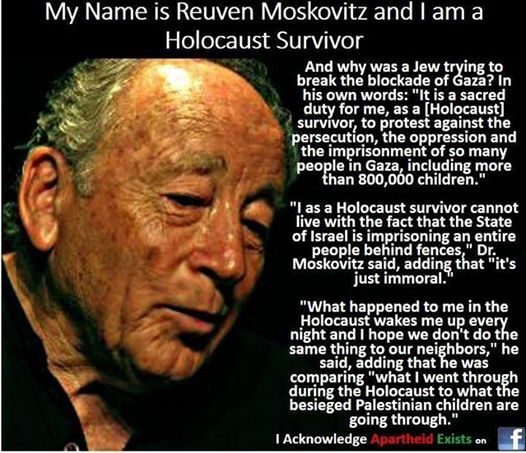 Another notable dissenter is Reuven Moskovitz, a Holocaust survivor, who see the Israeli blockade of Gaza as effectively imprisoning the population in a massive concentration camp. There are many others too – though with polls showing the Gaza offensive to be immensely popular with Israelis – 86% according to The Guardians’ Harriet Sherwood – it is not always politick to voice your objections in Tel Aviv or Jerusalem. Hamas has to be destroyed. In every sense of the word, their military wing are terrorists. Unless there are signs of a shift from their RED/BLUE zealotry, they cannot be reasoned with…so they must be destroyed. See Killing the Terrorists. Pounding Gaza to rubble is not the way to do it, though. PURPLE will only build that into the Palestinian’s own narrative of ‘victim identity’. Stealthy and secretive assassinations (‘accidents’) and disappearances would be a far more better way of defeating Hamas. It’s strongly rumoured that such strategies employed by British intelligence agencies were one of the factors that brought the IRA to the negotiating table in the 1990s. As Israel’s only current ‘true friend’, the United States has a unique responsibility in a carrot-and-stick approach to encourage the Israelis to take another approach to Hamas other than all-out bombardment. It will be difficult, though hopefully not impossible, for Israel to wean itself off huge ‘shock-and-awe’ demonstrations which actually do more for Hamas’ publicity than they please picnic chair soldiers in Israel. In the longer term, Israeli moderates need to engage with Palestinian moderates to seek a viable solution to a centuries-brewed conflict. The Assimilation-Contrast Effect should enable collaborating moderates, driven by ORANGE and above, to isolate the extremists on all sides and minimise their influence. One example of such collaboration is that of Integral Israel engaging with Elza Maalouf and the Centre of Human Emergence Middle East to take a Gravesian-flavoured approach to understanding the forces that drive conflict in the region and working with those natural flows to develop long-term sustainable solutions. Obviously there is a hell of a long way to go and thousands are likely to die before real solutions can be implemented…but sociopsychological tools are there to be used, if only more will take them up. Hope from the Tragedy of MH17…? The Madness of Pietro Poroshenko…? That’s why the Jews, unaccepted and so frequently attacked for nearly 2 millennia, culminating in the Holocaust, were so driven by BEIGE and PURPLE, with RED leadership, to have a homeland. Similarly the land is so sacred to the Palestinians that many of them will die for it. You’ll know more than me…but isn’t it part of Don and Elza’s strategy to grow the Palestinians into BLUE/ORANGE so that they are more interested in trading with the Israeli than killing them? I can remember Don back in 1998 talking about trying to get the Clinton White House to flood the Palestinian Territories with money to enable that upshift to take place. If the tribes could only learn it’s in their mutual interest to make money together…but a lot of embedded stereotypes about the ‘others’ to get around first. Thank you Keith for this deep and detailed analysis. For Palestinians living in Life Conditions that are paramount to a Survivalistic first level Beige system, death is not that different from a horrific life. For those in the Purple-RED system, nothing is more important to them than the sense of physical place, the land. When you take that from them (no matter what treaties allow you to take it away from them), they’re left with nothing. And when you got nothing, you got nothing to lose. Why don’t the Israelis get that if they help the Palestinians emerge into Blue-Orange, attachment to “place” becomes less relevant. Sometimes depending on the vMEME lenses one has, you’d wonder if not both culture are committed to death…by different value means, but death for sure. Sounds a bit like Plato’s philosopher-kings in ‘The Republic’ to me, Tom. Those with the developed abilities to rule do so over the rest. Would be labelled ‘fascist’ by GREEN and opposed by PURPLE (if not-of-our-tribe) through to GREEN (since everyone is equal, some can’t be ‘superior’ to rule). Personally I’ve always thought true, beneficent philosopher-kings would be a lot better than Western-style Democracy – which Plato thought the worst possible form of government. You have posed a problem I have been grappling with for some time. There is a huge amount of information and insight available from the general cognitive sciences about human nature. Within this body of knowledge many credible solutions to reducing suffering and enhancing vitality exist. Yet, in too many cases, such as the Israeli-Hamas conflict, those making large scale decisions, do not take this knowledge into account. As humanity we know what to do, as individuals, we are too often ignorant. We can explain this with a cognitive developmental framework: There is a spectrum of the development trajectory within which a person does not have the capacity to review their thoughts and feelings..the cognitive sciences cannot and will not be considered. There is a senior level of development, Graves calls this the Cognitive Human, where capacity exists and even delight is taken in studying, constructing, guiding one’s own cognition. To these people the cognitive sciences are essential tools. The problem is that power is held by the “pre cognitive” humans. I see no other solution to the larger problems of the world than that those of us Cognitive humans take control over, and limit the expressions of, pre cognitive humans. This prescription violates the ethics, myths, even identities of the Cognitive Human. This is a lethal situation for humanity. Somehow, Yellow, 2nd Tier, Cognitive, humans must find power in the world; even must find enuf power to dominate the Purple, Red, or even Blue excesses that from a higher perspective are pure mistakes. We must trust our wisdom enuf to take power over some other people. How are we to get to that point? Where we actually do what we see needs to be done?